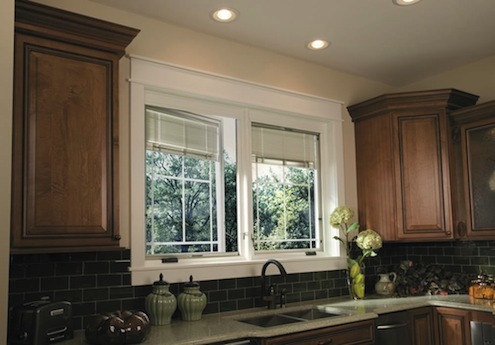 Casement windows are windows that are hinged on one side and crank open so that the entire window area opens. These types of windows are great for certain areas of your home. According to BobVila.com, "It’s an especially good choice over a kitchen sink, where it’s easier to turn a crank at the windowsill level than to stretch to push up a double-hung." It's also a good choice for small windows because it can make the best out of the limited opening that is there. ...a double-hung is usually better in a bathroom, where it can be opened from the top to maintain privacy. Casements are not suitable next to patios or porches, or for any place where they’d create a hazard for someone walking by outside. But if you want maximum open space, and you have the clearance outside, a casement just might be the way to go. Exterior Specialties of PA is here to help with all of your casement windows, window repair, window replacement and window installation needs. Call us today at (215) 453-9180 for your FREE estimate.